Longmont, CO – – – Don’t waste water. Recent downpours, in some areas of the state, have resulted in the Rocky Mountain Sod Growers(RMSG) once again stressing water conservation moving into the growing season. This message is important to the RMSG as work continues with the public and municipalities concerning the science of growing grass, and actual water needs of turf. “Water conservation is important in this state. We want to remind people that grass doesn’t waste water, people do,” said Marc Ruhl, President of the RMSG. Lack of education concerning the true water needs of turfgrass is contributing to continued water conservation issues, and increased water charges. Scientific research has clearly shown that inappropriate watering practices waste more water than any single plant group. The photograph shows two yards for comparison. Yard number two (2) has had sprinklers running for the last six (6) weeks, about three (3) times a week. Yard number one (1) has not yet turned on the sprinklers. 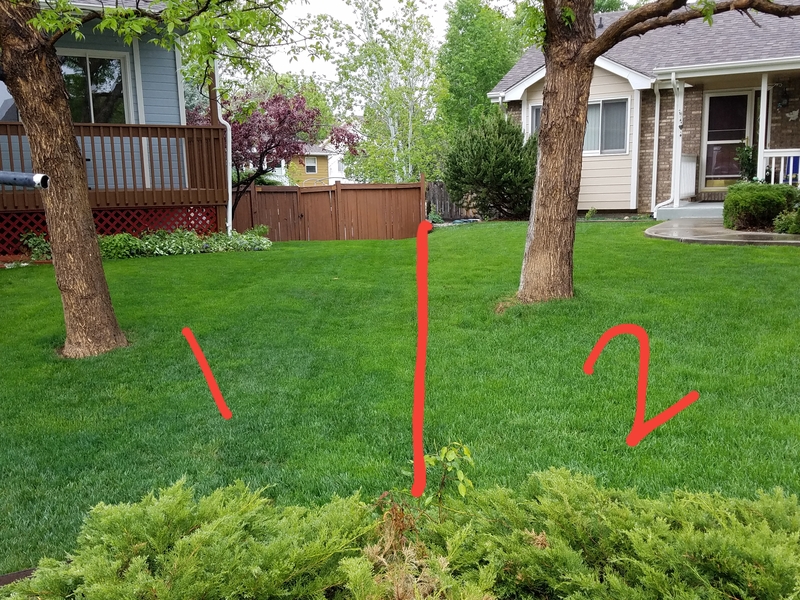 The difference between the two lawns is slight – indicating the great ability that many lawns have to revive when conditions allow, and to go dormant when needed. “Turfgrass water consumption has been studied for years. We know how much water grass requires. The challenge is to educate the public so that they don’t rely on myths and bad habits,” added Ruhl. The RMSG advises five basic rules to keep established lawns in peak condition, conserve water, protect the environment, and save money at the same time. New lawns may require special attention. Consult your local RMSG member turf supplier for additional information. Watering in the early morning or late evening hours is more efficient use of water. When watering during the heat of the day, some of the water evaporates before it can be absorbed. Don’t “set it and forget it”. As weather conditions change, change sprinkler settings to avoid over-watering. Check in to “smart” watering systems that save water. Your local municipality may offer incentives to purchase such systems. “Recent rains provided a great deal of moisture in some areas, yet sprinklers were left running in the rain – this clearly wastes water,” notes Ruhl. Check your sprinkler head coverage – don’t water sidewalks and pavement. Replace any broken sprinkler heads and adjust for maximum coverage. Hand-watering may be required for areas that are under stress. Discoloring is a normal sign of stress. Keep in mind that Kentucky bluegrass, the most common lawn type in our area, is very resilient and is therefore a good choice for this region. Be sure to account for adequate water coverage in windy conditions, as high wind conditions are prevalent in Colorado. 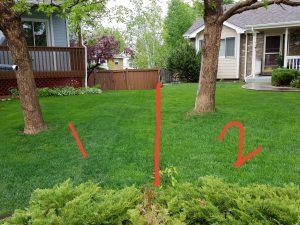 RMSG experts emphasize that bluegrass lawns will thrive on less than one inch of water per week during the growing season. This has been demonstrated through many scientific studies. Water needs change in the fall and winter. RMSG members are committed to providing top-quality service throughout the Rocky Mountain region and to staying current on the latest scientific trends to ensure that sod products remain beneficial to the environment while meeting the needs of the public. For more information on new sod or care for existing lawns, visit www.sod-growers.com. ← Watch How Much You Water!